Copyright: Copyright and all other rights remain that of the photographer. All entrants grant to IFES of a royalty-free, worldwide, perpetual, non-exclusive license to display, distribute, reproduce, edit and create derivative works of the Contest Entry photograph, in whole or in part, in any media now existing or subsequently developed, for any and all purposes, including promotional purposes. 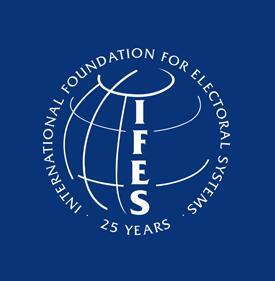 Any Contest Entry photograph(s) used by IFES shall carry the photographer's credit line as deemed appropriate by IFES. IFES sponsors an annual photography contest to showcase photos of elections and democracy from around the world. The contest seeks photographs of individuals taking part in elections or other activities that demonstrate the value of democratic governance and civic engagement. The winner of each category will receive $800 (USD). The grand prize winner will be featured on the cover of IFES’ 2014 wall calendar. Creativity: Is the subject matter pictured in a unique way? Is the image captured from an interesting point of view? Does the photograph demonstrate originality? Technical Quality: Is the photograph in focus? Is lighting in balance? Is there good use of color, brightness, contrast and saturation? Composition: Does the photograph tell the story of the theme for which it was submitted? Does the photograph bring together the visual elements to express the purpose of the image? Can the viewer immediately identify the subject? Image requirements: JPEG, JPG or TIFF format, and must be at least 1,600 pixels wide (if a horizontal image) or 1,600 pixels tall (if a vertical image). Up to 8 Mb in file size. cropping, minor burning, dodging, contrast and other color correction. High dynamic range images (HDR) and stitched panoramas are NOT acceptable. Watermarks are not acceptable.